I confess! I am a meat lover and I eat pork. Before my vegetarian brothers and sisters get up in arms, I want you to know I also love veggies. I sometimes create meals that are meatless but probably not as often as I should. Still, we have veggies with every meal and usually include a salad too. Don’t get me wrong. I am not feeling guilty because I eat meat but I just felt I needed to say that out loud. Of course if you have been following dmariedining.com it is obvious we are a meat eating family. However, my youngest son and I are really the only pork lovers in the household. Growing up we had pork quite a bit besides chicken. In my lifetime, I have probably eaten almost every part of pig from the snoot to the tail. Those of you with southern roots have probably done the same. Nothing goes to waste with southern cooks. Now that I am older and cook for myself there are parts of a pig you could not pay me enough to eat. Bacon, pork chops, ribs, sausage and ham are things I like to eat but I do limit how often we eat them. 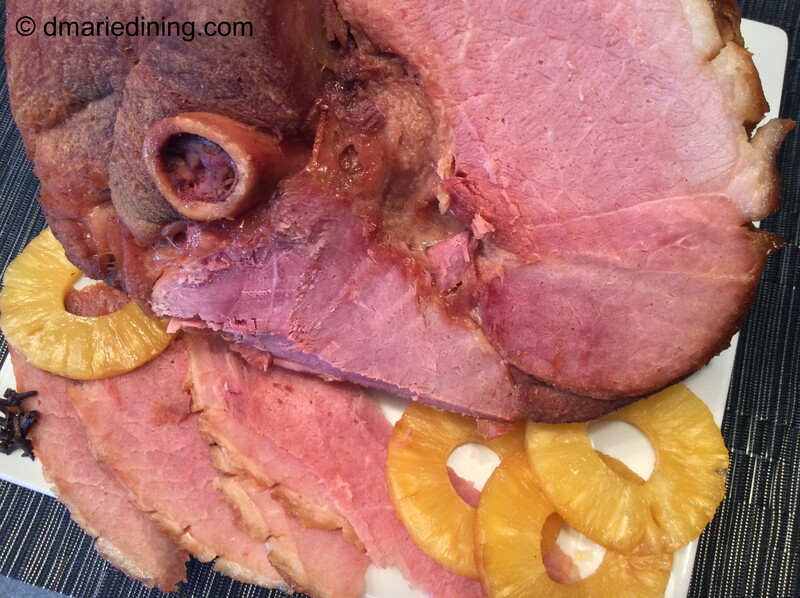 Last weekend I finally decided to fix the ham I have had in the freezer for a while. Because we do limit how much pork we eat I thought my family would eat it one night and then I would have to freeze the leftovers. What was I thinking? As soon as I took the ham out of the oven my son was asking if he could taste it. After cutting a few slices I looked away for a second and they were gone. When I asked him what happened to all of the slices his comment to me was “You knew what you were getting into when you cooked the ham”. Translation…. Mom you know I love ham so what did you expect!?! Needless to say the leftovers I thought I would have to freeze were gone in three days. 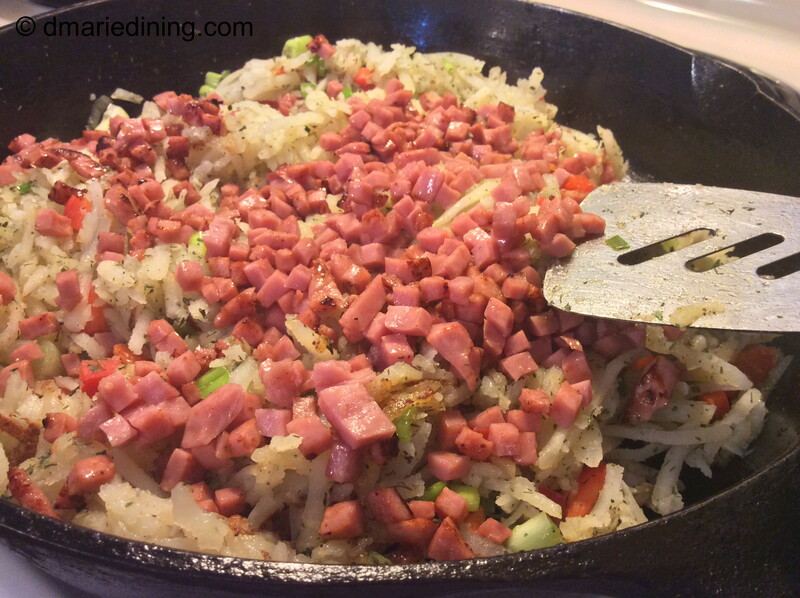 Between my son and me I think we had ham for breakfast, lunch or dinner each day. At this point, I am all hammed out but I must say it was good while it lasted. 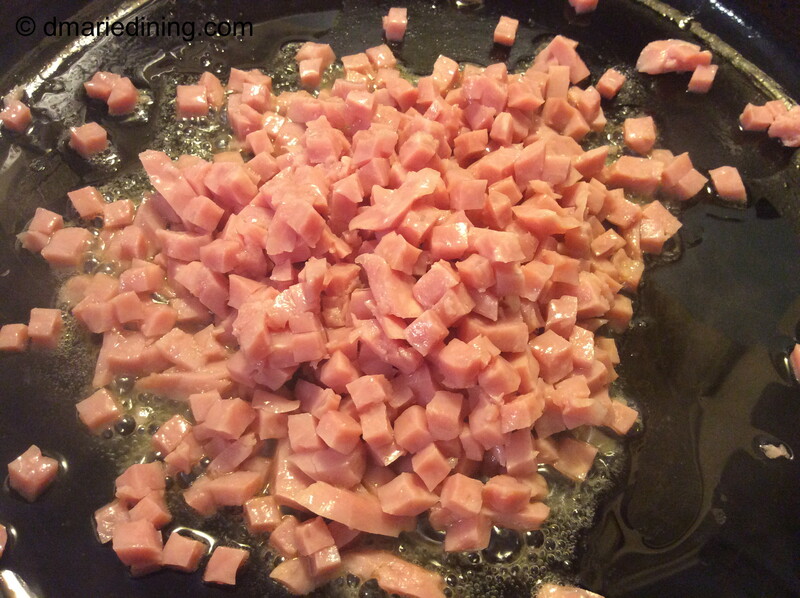 Place ham in a large pot and fill ½ way with water. Boil for 1 ½ to 2 hours over medium high heat. (helps to remove salt) Save broth for another recipe. 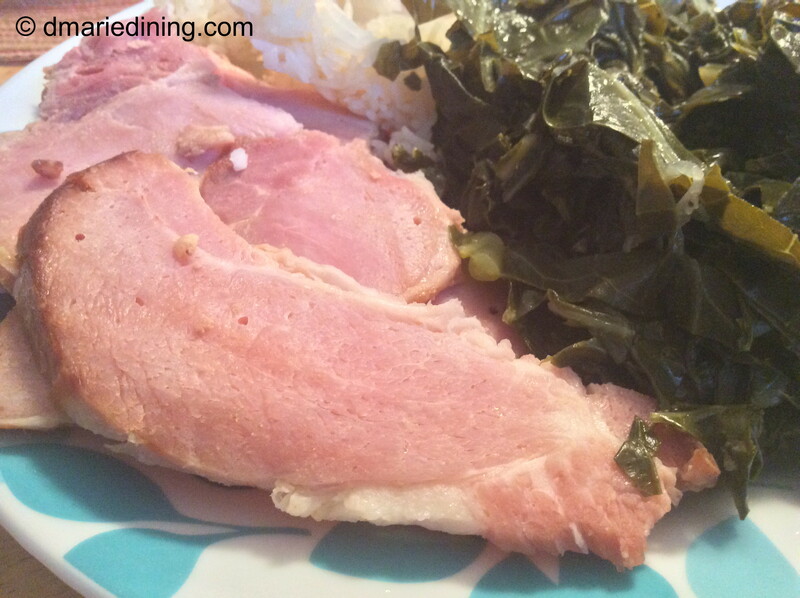 Place ham in a roasting pan and pour 7 UP over the ham while hot. 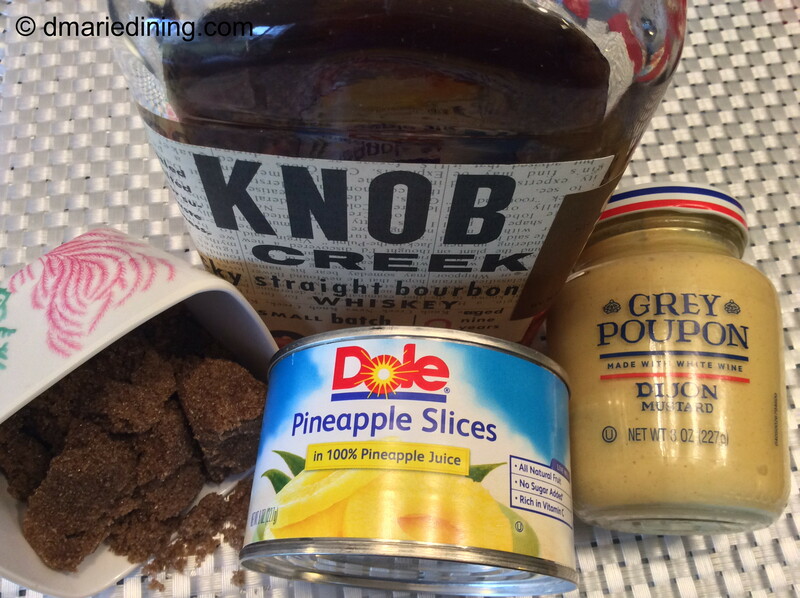 In a medium bowl mix together brown sugar, mustard, whiskey and juice from pineapple. 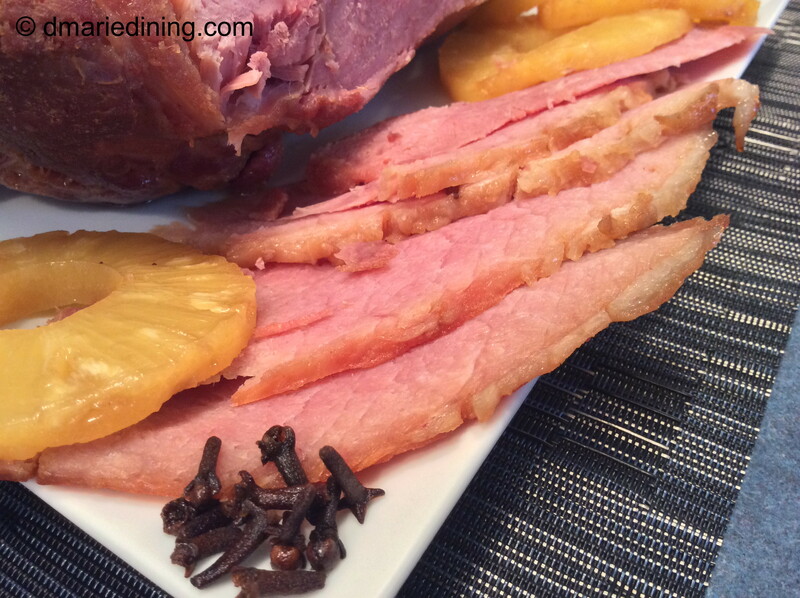 Score the ham then dot with cloves and lay the pineapple slices around the ham (secure with toothpicks). Pour brown sugar mixture over ham. Bake for 35 to 40 minutes basting every 10 minutes. 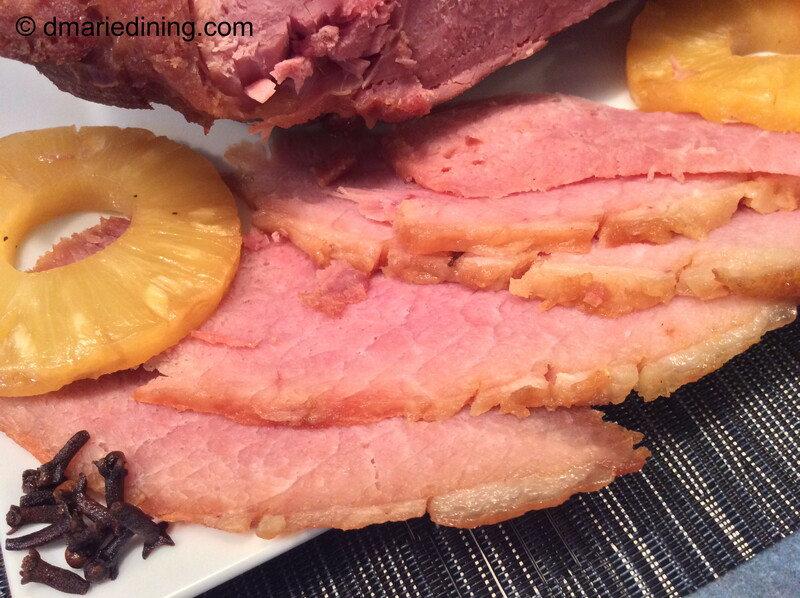 Allow the ham to rest for 10 minutes before slicing. Every kid at least once during their childhood has eaten a grilled cheese sandwich. Crunchy on the outside and gooey on the inside. 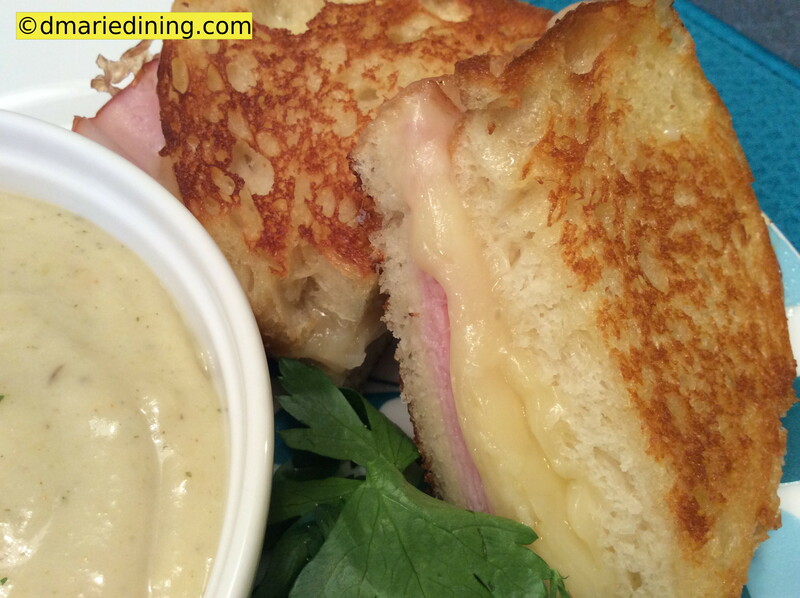 Cheddar cheese was usually the center piece of the sandwich and was complemented by tomato soup. Remember dipping your sandwich into the soup and letting it soak in the all that tomato goodness? I loved grilled cheese sandwiches back then and I still love them today. Only now I make big kid grilled cheese sandwiches. Cheese, of course, remains the center piece of my big kid grilled cheese sandwiches. But, this version uses 3 types of cheese to create the gooey goodness inside. Swiss, Monterey Jack and pepper jack cheese (for the extra kick) combine to make a nice creamy tangy sandwich. 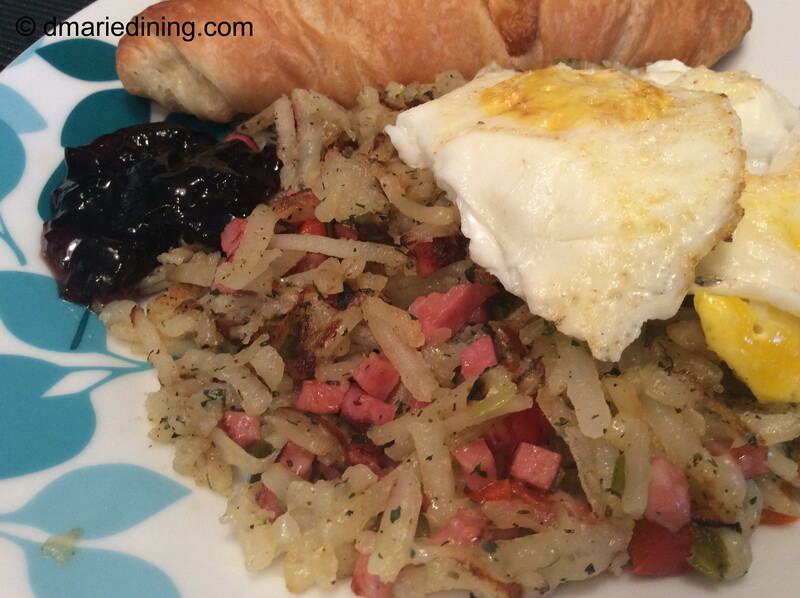 To top it off I added black forest ham. Now that is a big kid grilled cheese sandwich! Since I decided to make a big kid grilled cheese sandwich I decided to also make a grown up soup to go with it. Leek and potato soup. 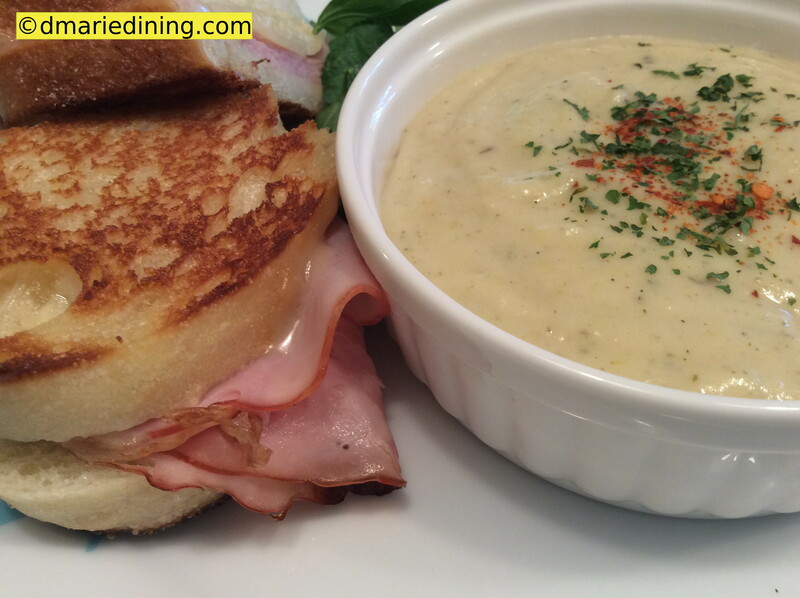 A thick and creamy soup to go with a wonderful creamy sandwich. 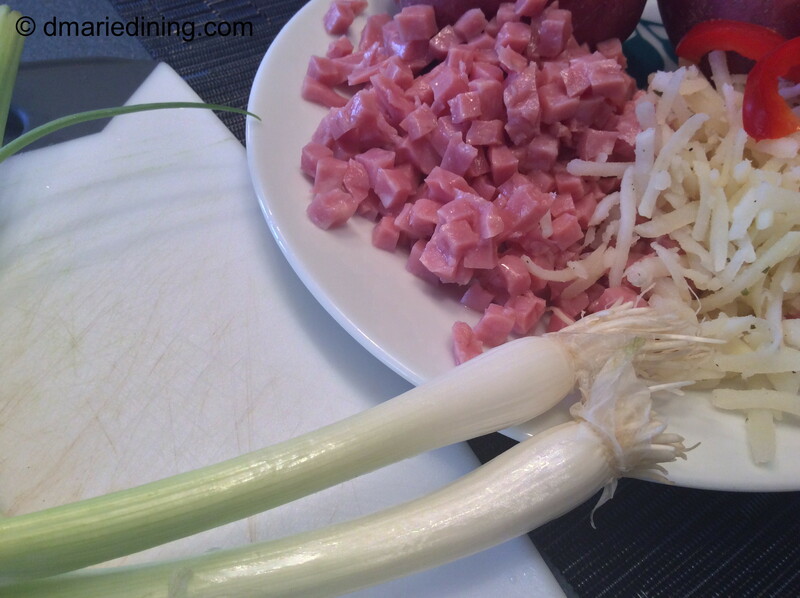 You can check out the recipe for the Leek and Potato Soup at dmariedining.com. Spray a griddle with cooking spray and heat over medium heat. 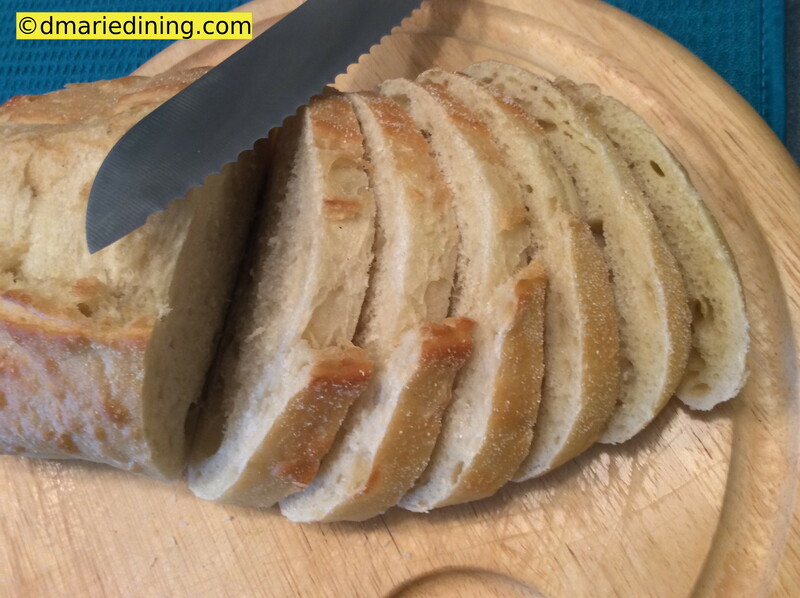 Spread a generous amount of butter on one side of a slice of bread. Place butter side down on the griddle. 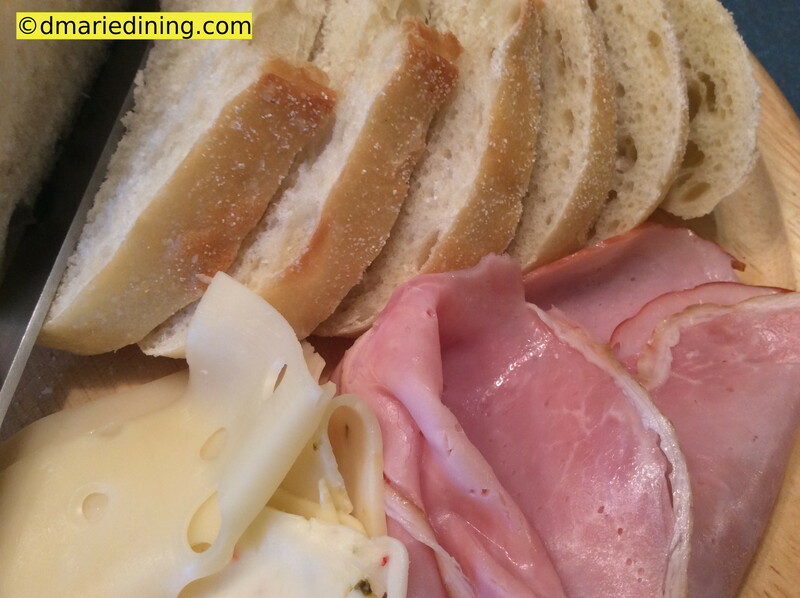 Layer bread with 3 cheeses and 2 slices of ham. Spread another slice of bread with butter and place over ham with the butter side up. Brown bread then flip to brown the other side. Repeat with other slices of bread. 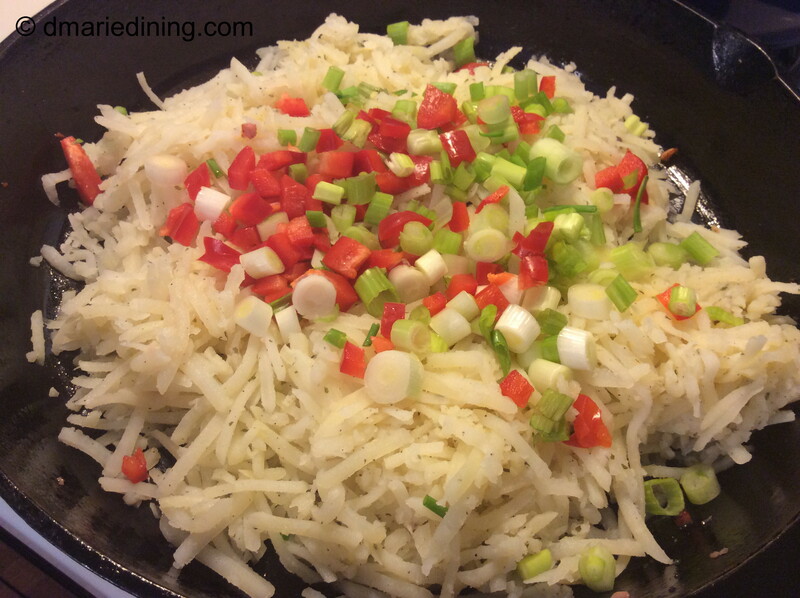 Serve with chips or your favorite soup.